The Boston Celtics are currently in the NBA version of limbo. News of Kyrie Irving's surgery and prognosis should arrive some time today, and we await the eventual return of Jaylen Brown (probably tomorrow), Marcus Smart (4+ weeks) and Gordon Hayward (late-playoffs or next season). 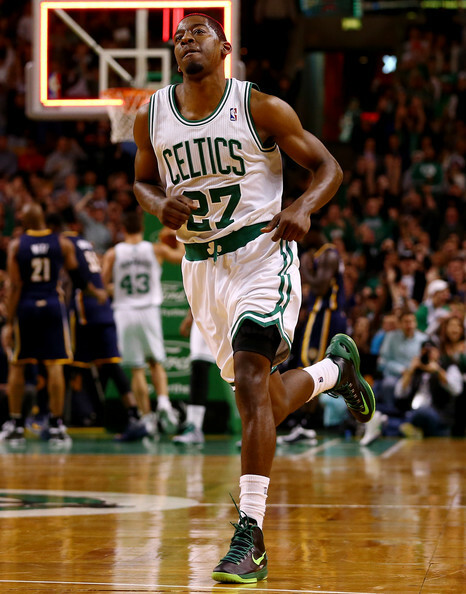 I wrote earlier today on the NBA injury plague, and a bare-bones Celtics roster. Unnecessary fatigue for the remaining crew members should not happen going forward. That should be the main reason for either using the Medical Hardship Exception (if it is granted) or other measures to ensure sufficient numbers to avoid further injuries. Jordan Crawford is a 29-year-old, 6'5" guard who has played for the Celtics under Coach Brad Stevens and has bounced around the League. He is an unrestricted free agent who can score and distribute the ball. It would make sense for Boston to sign him only if Danny Ainge and Brad Stevens feel he may be a longer-term, low salary option for the team's future. It would be a good opportunity to see what he can supply. The same could be said for any current G-Leaguer the Celtics feel may help short-term and possibly be a longer-term solution. Anthony Bennett, currently with the Maine Red Claws, might finally be able to show value at the NBA level and contribute. Thus far, he has been only a bust after being chosen first overall in the 2013 NBA draft. This may be his last chance. A third option is to give one of the Celtics two-way-contract players more run for the rest of the season. Kadeem Allen could be that guy. The 6'3" guard is 25 years old, and there would be nothing to lose by having him fill in for Terry Rozier and Shane Larkin. Terry can use a break, but Shane will most likely be playing significant minutes after sitting out so many games and minutes thus far this season. None of these measures would mean the Celtics would have to waive a current team member, at least until one of the four injured players returns to action. We may see a decision on this potential move fairly soon.